The newly opened Grandee Cuisine is the East Side's resident dim sum eatery. Get the traditional small servings of all your favorites, like steamed buns, egg rolls, dumplings, and more. They also have a full menu of Cantonese cuisine with dozens of entrees to choose from. Grandee Cuisine specializes in live seafood, offering lobster, scallops, and fish simply steamed and served with delicious sauces. Stop in for their low priced lunch specials, and get a large entrée and appetizer for just $9 to $11. 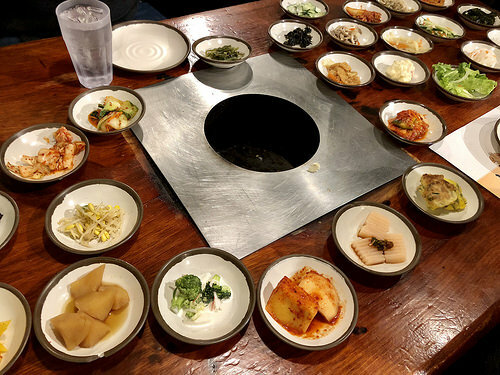 It’s a great time to bring a crowd and try a bunch of different items to pick your favorite and see what you’ll order the next time you visit. Grandee Cuisine’s lunch specials are served Monday through Friday from 11 a.m. to 2:30 p.m., or come any time from 8:30 a.m. to 10 p.m. seven days a week. Take-out is also especially easy at Grandee Cuisine with the simple online ordering tab on their website.